Whiteboard video animations have always been popular. You get to see images drawn right before your eyes. It’s a clever combination of simulated stop motion, infographics and a classroom experience. One of the most popular programmes for creating these animations is Videoscribe – developed by Sparkol. It comes with a full library of graphics and other tools, allowing one to quickly put a decent whiteboard video animation together. As is the TTRO way, we never use template graphics. This means we have to use our own edited or illustrated graphics, and diving into animating your own graphics in VideoScribe is not easy (sorry Sparkol!). Now, this article isn’t about beating down Sparkol, I like Videoscribe and it’s a very useful program. There is also a very comprehensive help archive on their website to help you if you ever get stuck. This is more for educating designers and writers, to help them understand that a Videoscribe whiteboard animation is a very specific animal. 1. Videoscribe does not create interactive content. Videoscribe outputs a video media file once your project has been completed. This output is a video that plays in a media player. There are no branching scenarios, no buttons and checkboxes, no summative assessment – just a video. Many e-learning designers have had to field this question more times than you would guess. 2. Videoscribe is not friends with short and quick, or long and lengthy. The graphics in Videoscribe need to be moderately complex, very intricate drawings will take longer to complete in the animation. You can determine the speed at which it animates, but an illustration that is completed in a two-second blur negates the use of Videoscribe in the first place. Short bullet points are good, but can become repetitive if used excessively – but don’t pull out James Joyce’s Ulysses either, as it will not be exploiting all that this format has to offer. This type of design is visual storytelling, unfolding before your eyes. The amount of information and the rhythm of its delivery needs to be comfortable for the learner. To quote a famous family of bears, it needs to be ‘just right’. 3. Videoscribe is not traditional animation. 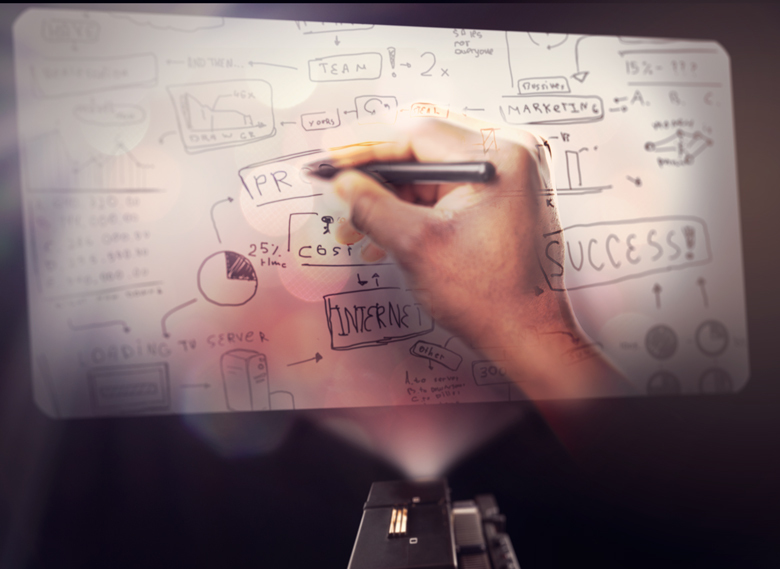 The term ‘whiteboard video animation’ has the word ‘animation’ in it, but your final product from Videoscribe is simpler than an After Effects, Toon Boom or Flash animation. Synching the audio in Videoscribe is not easy as it’s not visible in the timeline, and you can’t animate any somersaults or 360° rotations. That kind of ‘bling’ will take an eternity to complete; if you’re up to the challenge, you can try, but you’d be using the wrong software. Videoscribe brings doodles to life, and they can be animated – to an extent. However, they are never going to lose their ‘doodleness’ and transform into a princely, Disney Animation, no matter how many frogs you kiss! Videoscribe is a powerful tool, especially in e-learning. If the content is dispensed in a comfortable rhythm, it makes for almost effortless comprehension. And once you get accustomed to it, you can create powerful, educational assets that are unique, entertaining and immersive.